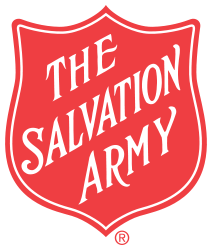 As the American South struggles with unusually cold weather, the Salvation Army has teamed with other organizations to deliver comfort to people in need. Many of the cities that have received snow this winter do not even have snowplows because snow is so unusual, meaning that only an inch has caused major gridlock. In Atlanta, Georgia, and Jackson, Mississippi, the Salvation Army has offered hot meals and coffee to drivers stranded on the Interstate. In Atlanta, some drivers were trapped on the road for more than 16 hours. In Jackson, about 50 trucks became stuck when icy weather prevented them from climbing the slight inclines around the city. The terrible conditions in Jackson also stranded individuals at bus stations as trips were continuously postponed or even canceled. To provide a bit of comfort to these individuals, the Jackson Salvation Army emergency team offered food, beverages, and a sleeping bag to the people, many of whom stayed at the station for multiple days. The Salvation Army has a long history of responding to natural disasters like hurricanes. Its immediate and effectual response to the cold weather demonstrates the organization’s adaptability and dedication to meeting people’s needs. This entry was posted in Community and tagged The Salvation Army, Vince Liuzzi. Bookmark the permalink.